Map based on Google Maps. 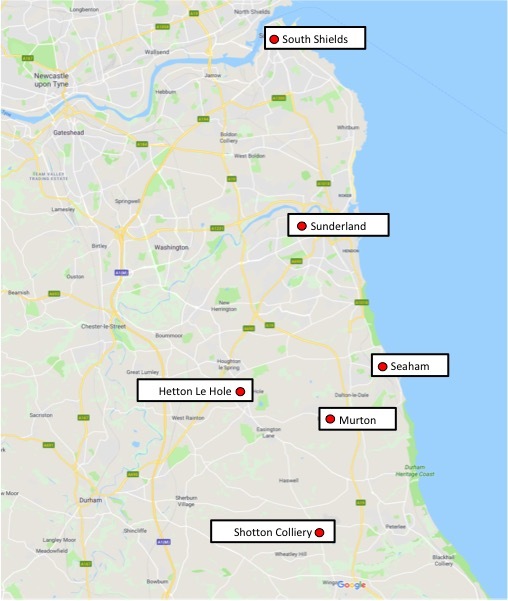 Above: The towns, villages and collieries of north County Durham that were most familiar to Lewis Dix and Mary Jane Smiles and their family. Below: Murton Colliery, where Lewis first worked as a coal miner. The painting is by J.W. Carmichael in 1843. Lewis Dix was one of nine children of James Dix and Elizabeth Dyball. In his teens, he worked the fields near the Norfolk village where he was born, as his ancestors had probably done for centuries. But times were changing. The Industrial Revolution was in full swing, the rich coal mines and riverside industries of County Durham beckoned to the poorer rural classes, and, before he was 20, Lewis headed north to an uncertain future. Public domain work of art. LEWIS DIX was barely out of his teens when he turned his back on the life of an agricultural laborer. 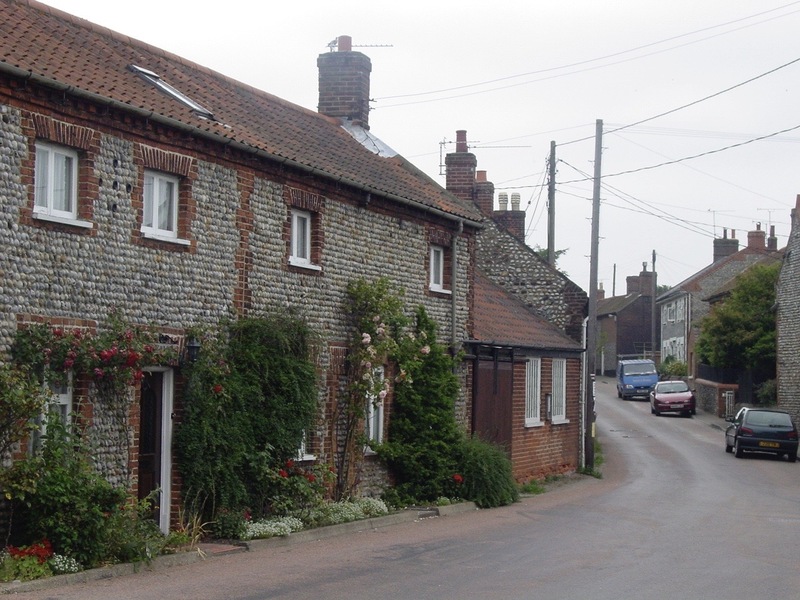 The last record of him in rural Norfolk is in 1871, when the national census shows him living with his older brother James and his aging parents in the village of Southrepps, just a few miles from Antingham where he was born. At age 17 and working as a farm laborer, the future could not have looked very promising. His grandfather, Matthew had died by this time, but he had watched his father, James, work on the land as a laborer all his life with little to show for it. 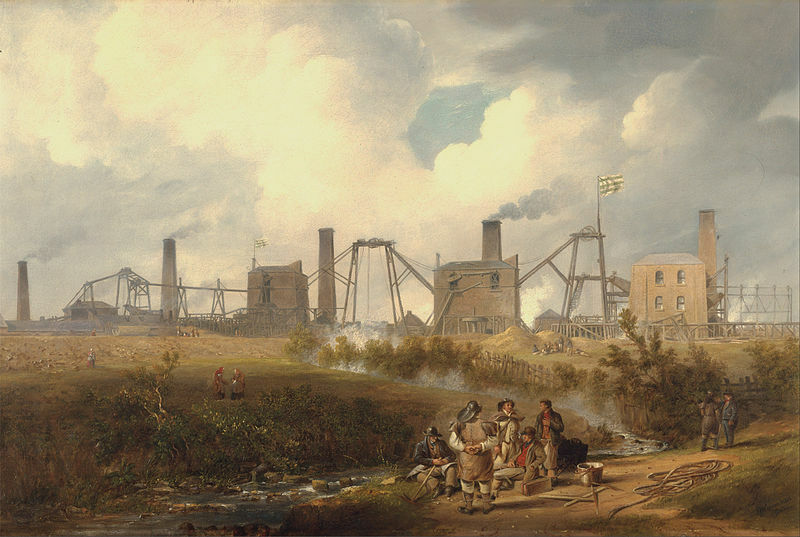 One of the defining factors of the Industrial Revolution was the mass movement of people from the farms of England to the growing towns and cities. By the second half of the 19th century, the face of England had already been transformed. Technological innovation had spurred the growth of factories, starting with the textile industry. Factories needed power, which in the 1800s meant coal and steam. Railways and shipyards were needed to move goods and build the ships to carry them. And all of this together combined to soak up the workforce from rural England like a great sponge. And despite the sometimes appalling conditions of factories and city living, the standard of living was steadily improving, leading to a population spurt. In the 1800s, England's population soared from 10 million to 40 million. There were technological breakthroughs in agriculture, too, but they tended to replace workers with machines and sent more working men to the cities. In the 1870s, Lewis Dix was typical of this class of farm workers who no longer saw a rural life as a viable option. For those on the farms looking for opportunities elsewhere, the coal mines of newly industrialized Britain were a clear option. The work was hard, dirty and dangerous, but there were advantages, too. A man could earn more in the mines than on the land, he could likely have a miner's cottage close by to live in, and he would receive free coal for the winter. 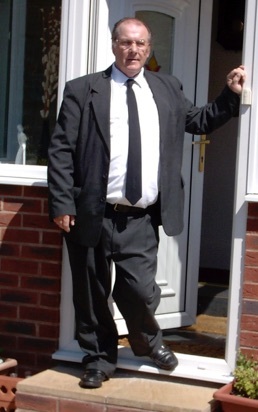 And in the more heavily populated towns and collieries of the north, he would meet more people with better chances of finding a suitable marriage partner than in the local village. Still, it must have been a sobering experience for a young man barely out of his teens, who had known no other life but that of a farmer's laborer, to suddenly come face-to-face with the reality of a 19th century colliery. We can only imagine how he felt, going into the lift, shoulder to shoulder with experienced miners, and descending into the blackness of the mine for the first time. Lewis seems to have first found work at Murton Colliery, a mining community a few miles south of Sunderland. The mine at Murton was one of dozens that had sprung up all over the countryside. Some of the richest coal deposits in Britain lay beneath the rolling hills of Durham and Northumberland, and the face of these neighboring counties was already changing as more and more pits were opened. While working at the Murton mine, Lewis met Mary Jane Smiles, a Durham girl still in her teens. Mary could have had no illusions about the dangers of coal mining. In the summer of 1871, probably not long before Lewis arrived from the south of the country, her own father had been killed when crushed by coal tubs at the same mine - an all-too-common accident at collieries. The pair were married in the spring of 1874, when Mary was about 17, though she gave her age as 21 on the marriage certificate. Their somewhat hasty marriage was at the Sunderland Registry Office, with friends but no family attending - or at least, none to sign the certificate. Though it was common enough for brides to be pregnant before marriage, the values of the time frowned so strongly on that circumstance that children were sometimes disavowed, or at least suffered the wrath of embarrassed parents. Six months after the marriage, John James was born, appropriately named after both fathers. © Durham County Council. Used with permission. Believed to be in public domain. Left: Southrepps Village, Norfolk. Lewis Dix left home here to work in the coal mines of the north. 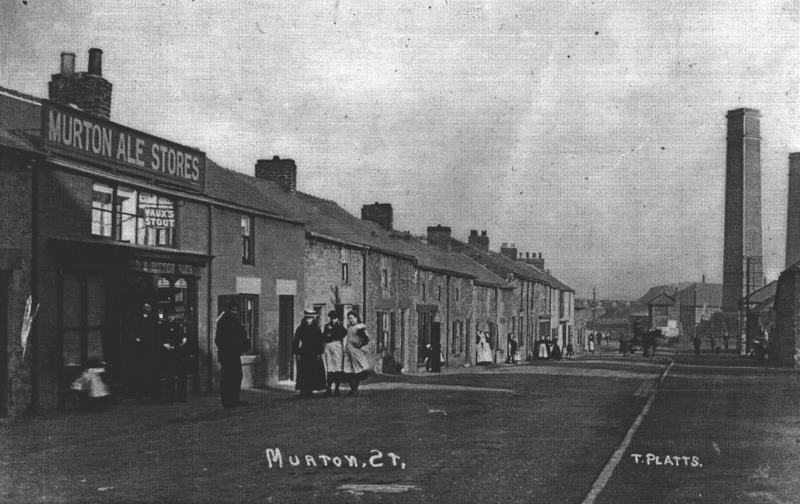 Left, middle: Murton Colliery when in full production, and the colliery village of Murton about the same time. 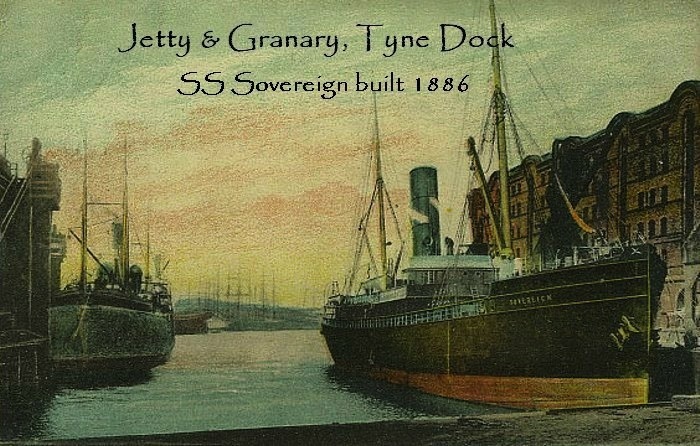 Left, bottom: Tyne Dock, South Shields, as it was when Lewis Dix lived in the town. This was the age when sail was transitioning to steam, as can be seen in the detail of SS Sovereign in the dock. Back in Norfolk, older brother James had married 21-year-old Julia Ann Pardon, the daughter of a fisherman from the nearby coastal village of Trimingham, at about the time Lewis moved north. In fact, it’s possible that James’ marriage spurred Lewis to move. One senses that the brothers were close, and Lewis may have felt that living as the sole remaining son in his parents’ home was not an attractive option. But within a couple of years, James also moved north to try the Durham mines and brought Julia with him. 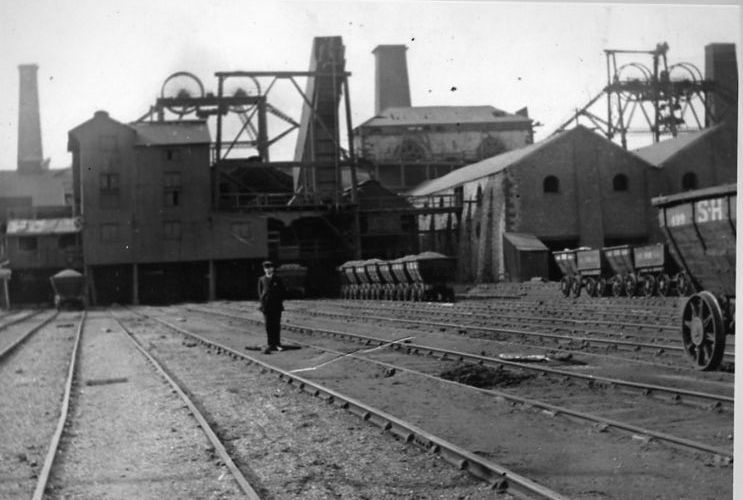 James found work at Shotton Colliery, just five miles from where Lewis was employed. For whatever reason, mining suited Lewis more than his older brother. After a few years, James moved back to Norfolk and a rural life, taking his wife and new son and daughter with him. That left Lewis as the sole transplant of this line of Norfolk Dixes in the industrial north. 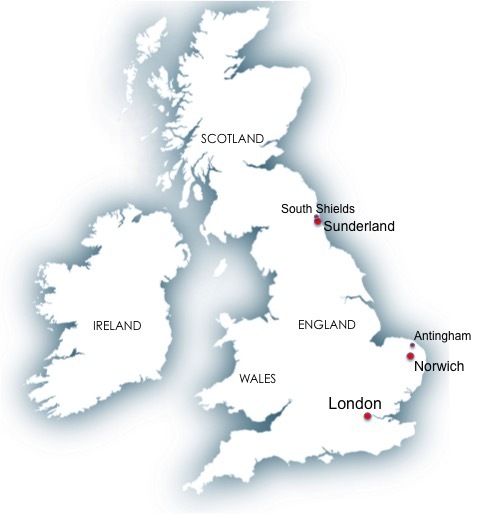 In time, through Lewis's children and grandchildren, a whole colony of Dixes would spring up in the Sunderland area. Lewis seems to have tried other avenues of work apart from mining. The 1881 census lists him as a "chemical" laborer, presumably in a factory, in the community of South Shields, some 15 miles to north of Murton. This was not a mining town. Most of the working men were employed in shipyard-related industries which thrived along the River Tyne, and there was a fair smattering of sailors who lived around the Dix home in Berwick Street, Westoe. Lewis and Mary had several children as Lewis followed work opportunities from place to place, including Sunderland and Seaham. After the birth of their first son, John James, they lost at least two children soon after they were born - a daughter, Elizabeth, and a son, Louis. Later, they would lose a 9-year-old daughter. But they had three boys and three girls by 1891 when they were living at Seaham Habour and Lewis was again back in the mines. Then, when Lewis’s youngest son was just two and a half, Lewis caught pneumonia and suddenly collapsed and died in Bridge Street, Bishopwearmouth. He was just 40 years old. His death certificate listed the cause of sudden death from "syncope following upon acute attack of pneumonia." Syncope is a sudden loss of oxygen to the brain that causes fainting, and has a variety of causes, but is not usually fatal. As for Mary Jane, Lewis’s wife, she lived into her 80s, but never remarried. It would not have been easy raising a large family on her own. The 1901 census shows four children at home, and Mary, age 43, is working as a washerwoman. Son Alfred, 14, is already working as a horse driver below ground in the local colliery. By 1911, Mary, still only 55, is shown as living 17 Gosforth Street, Sunderland. The woman who signed her marriage certificate with a mark ("x") at age 17 has completed the census form in her own writing, reporting that her youngest son, George Henry Dix, is an apprentice boilermaker, 20, and living with her. Mary remained in the same street for another 25 years, and died at home, at 62 Gosforth Street, Sunderland, two weeks before her 83rd birthday. By then, she had at least 28 grandchildren. 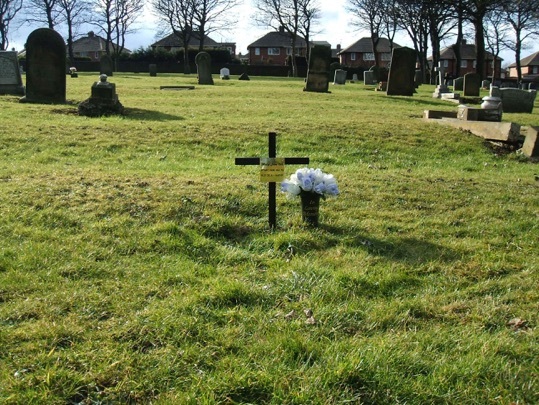 Until well into the 1900s, it was common for ordinary working people in England to be buried in unmarked graves, often shared with others with whom they had no family connection. Today, it often comes as a surprise to us to find that while the names of our ancestors may be recorded on cemetery plot lists in city archives, the grave itself is not only unmarked but may lie in a part of a cemetery where other headstones have fallen or been removed. That discovery can be distressing to those who want the names of their ancestors preserved and honoured indefinitely, even though headstones become weathered and inscriptions difficult to read. In July 2009, Mike and Cathy Otterson visited Mere Knolls Cemetery in Sunderland from the United States as part of a research trip. Lewis Dix and his wife, Mary Jane Smiles Dix, Mike’s great grandparents, are buried there according to city records. However, the cemetery visit proved unsatisfactory, because neither grave was marked and the plot number for Lewis, in particular, seemed not to correspond with any system of plot numbers. Due to lack of time, the matter was left unresolved, and photographs were simply taken of the general area. Doris Nichol is a descendant of Lewis Dix and Mary Jane Smiles through their daughter Ethel Jane Dix. When Doris and Colin Nichol's friend, George Jenkins, learned from them of the difficulty in finding the graves, he embarked on his own quest as a gesture of friendship. With remarkable determination and persistence over a period of weeks, he charmed his way through bureaucracy and obstacles, and with the help of friendly cemetery maintenance men, finally located both graves. This was despite the fact that one of the grave references he had been given proved to be erroneous. All the photographs and maps in this section were provided by George Jenkins. 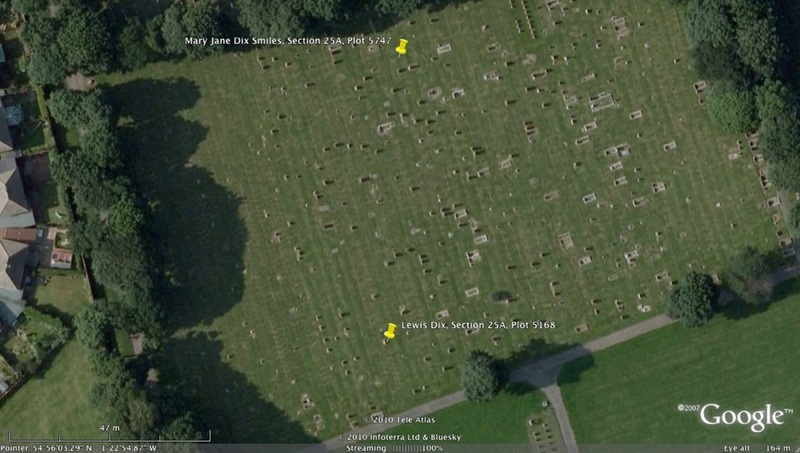 The Google Earth map shows the precise location of both graves. 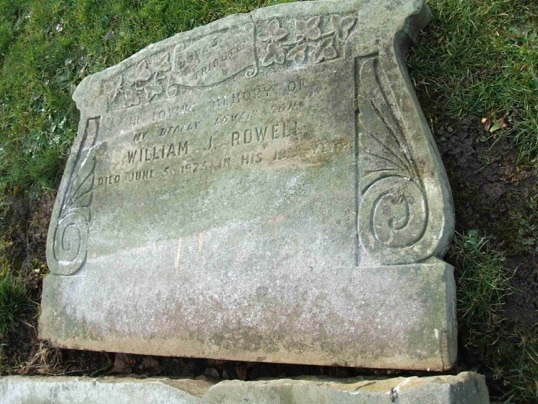 Lewis was buried in 1893, but his grave is shared with a 19-year-old young man named William J. Rowell, laid there in the summer of 1925. Lewis’s wife, Mary, lies in the same grave as non-relative Alexander Crosby, who died age 24 some 38 years before Mary. 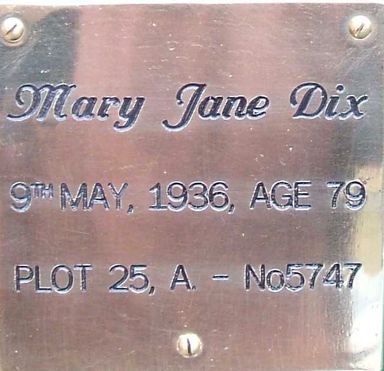 To complete the effort, George arranged at his own expense for a cross and lacquered metal plaque to finally mark the grave of Mary Jane Dix Smiles nearly 75 years after she was originally interred. Such is friendship. Credit: City of Sunderland Mere Knolls Cemetery. Top, left to right: Lacquered metal plaque provided by George Jenkins, which he affixed to a cross to finally mark the grave of Mary Jane Smiles Dix, nearly 75 years after her death. Also, Mary's grave with the added marker, and the stone marking Lewis Dix's shared grave with 19-year-old William Rowell . The stone was placed in 1925 by William's mother who inscribed it with, “My dearly loved son...” Lewis Dix was laid to rest in this same plot in 1893. The stone was face down when George Jenkins found it and re-positioned it in 2010. Lewis’s name does not appear anywhere on the grave, but the Rowell headstone positively identifies the plot. 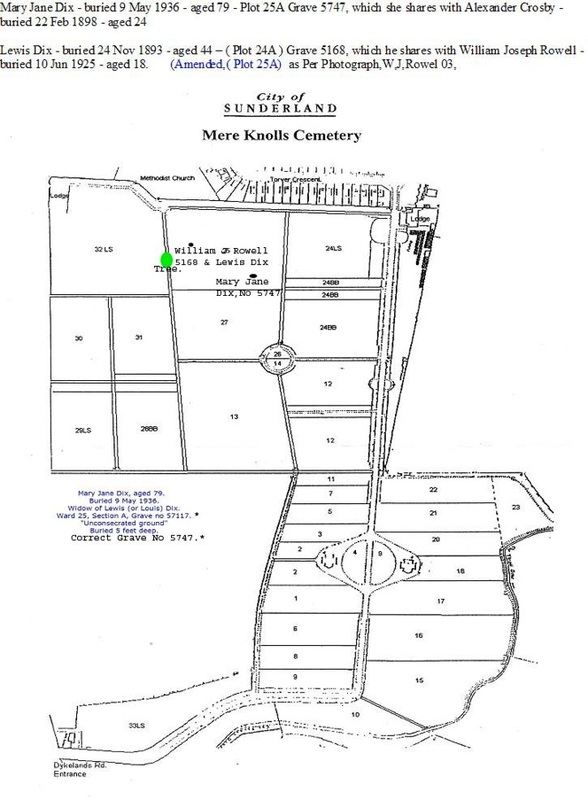 Left: Plot map of Mere Knolls Cemetery, showing the location of the Dix graves. Below: The Google map shows a bird’s eye view of Mere Knolls Cemetery’s Section 25 from about 500 feet, with the graves of Lewis Dix and his wife Mary marked. The two graves are about 70 yards apart.